This tutorial shows how to set up HTTP proxy to work with Mozilla Firefox Browser. 2. 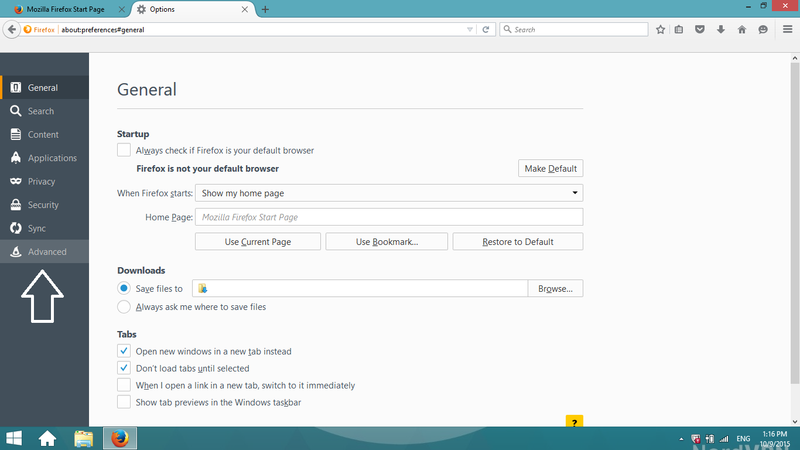 Click on the Firefox Menu, which is in the top-right corner of the browser window and then press Options. 3. Options window opens. Click on Advanced. It can be found at the bottom of the Menu list. 5. A new window pops up. 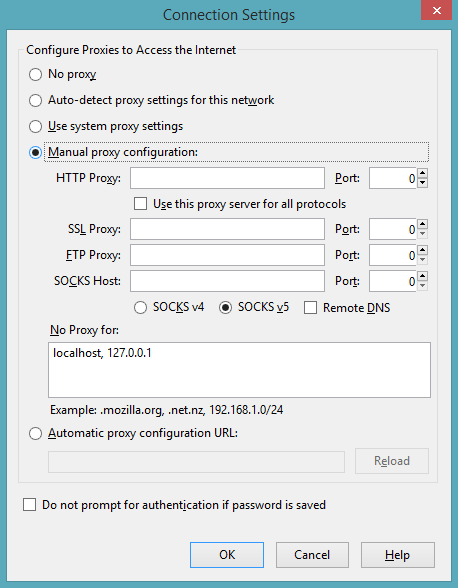 Choose the following Manual proxy configuration. 6. In the HTTP proxy field enter one of VPNExpress 's servers addresses. You can freely choose any server you like from this list: VPNExpress Server List. 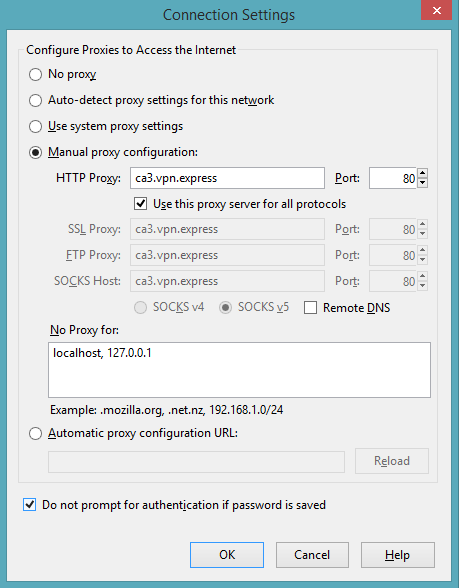 Also, check the box Use this proxy server for all protocols. 7. For Port enter 80. 8. It is optional to choose the box Do not prompt for authentication if password is saved. If you choose it, then once you save credentials for proxies, the authentication will not prompt again, unless it fails. 10. 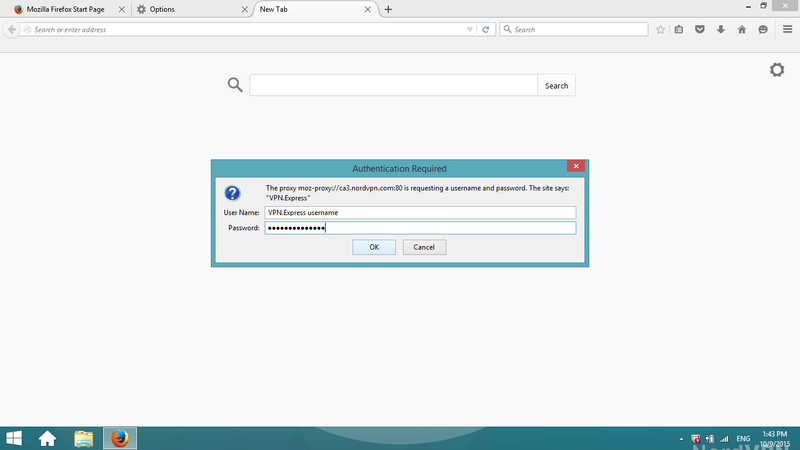 When you will try to access a site you will be prompted for the username and password. 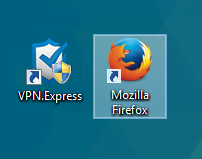 Enter your VPNExpress Username and Password and press OK.
That is all! 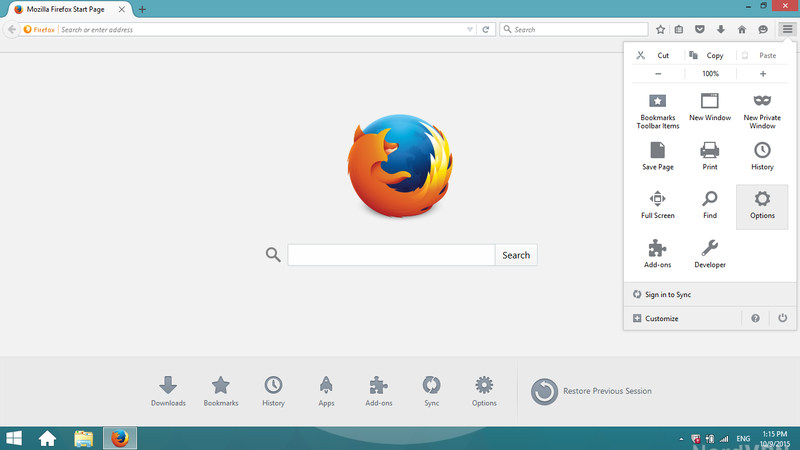 Your Mozilla Firefox configuration is done. If you want to check whether HTTP proxy really works, go to What is my IP address website. There you will see the IP address of your chosen server.